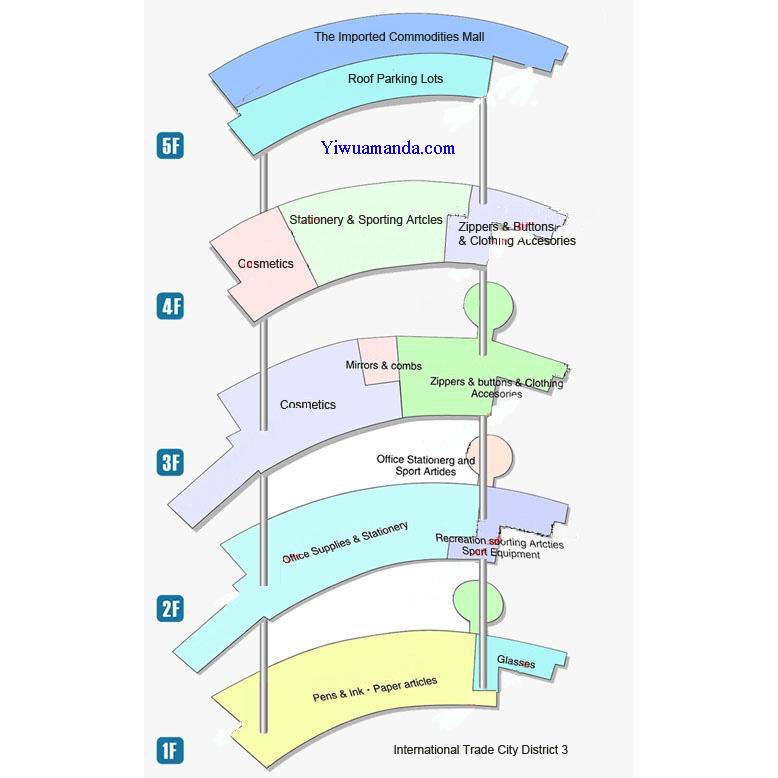 The International Trade City District 3 (Section H) has 460,000 m2 building area, over 6000 standard booths of 14 m2 on floor 1-3, more than 600 booths of 80-100 m2 on floor 4-5 and manufacturer outlet center on the fourth floor. The industries in the market cover cultural products, sports products, cosmetics, eyeglasses, zippers, buttons and apparel accessories etc. China Yiwu International Trade City District 3 was equipped with central air conditioners, broadband system, Web TV, data center and firefighting & security monitoring center. There are smooth passages for crowd and goods inside the market. Automobiles have access to various floors and many parking lots were built on the ground and roof. It provides a full range of services including modern logistics, E-business, international trade, financial services, accommodation, catering and entertainment etc. Yiwu International Trade City sincerely welcome customers both at home and abroad, manufacturers, foreign trade service agencies to join us and promote mutual development.